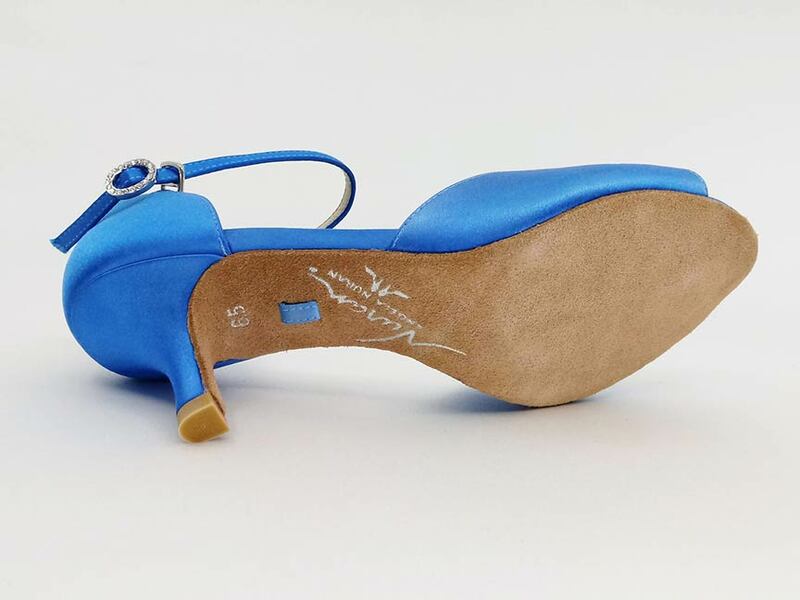 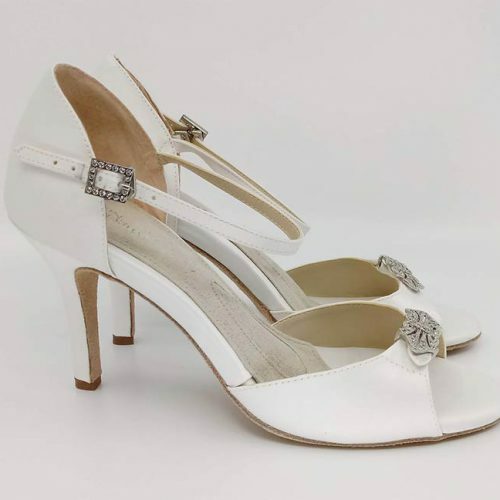 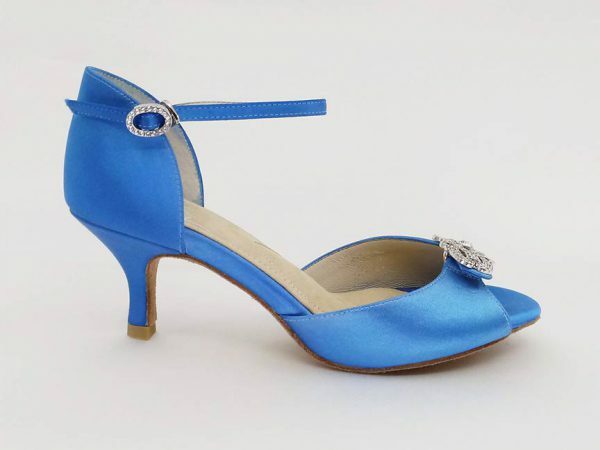 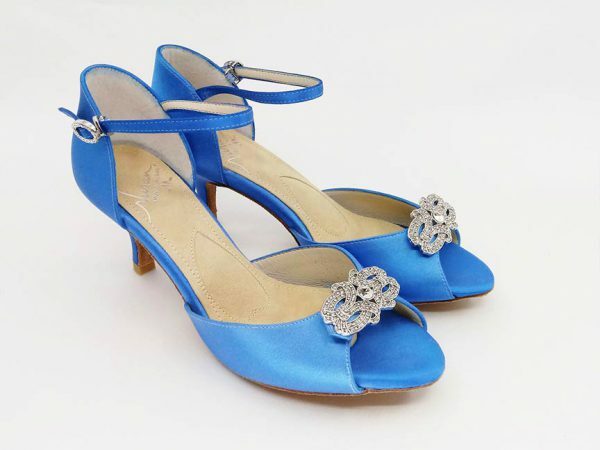 Here’s a sweet “something blue” for the girl these shoes will fit. 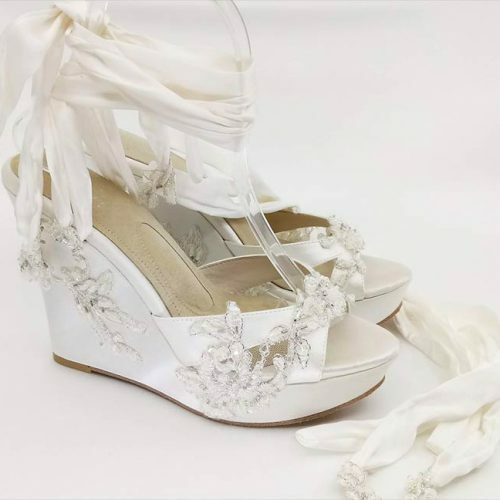 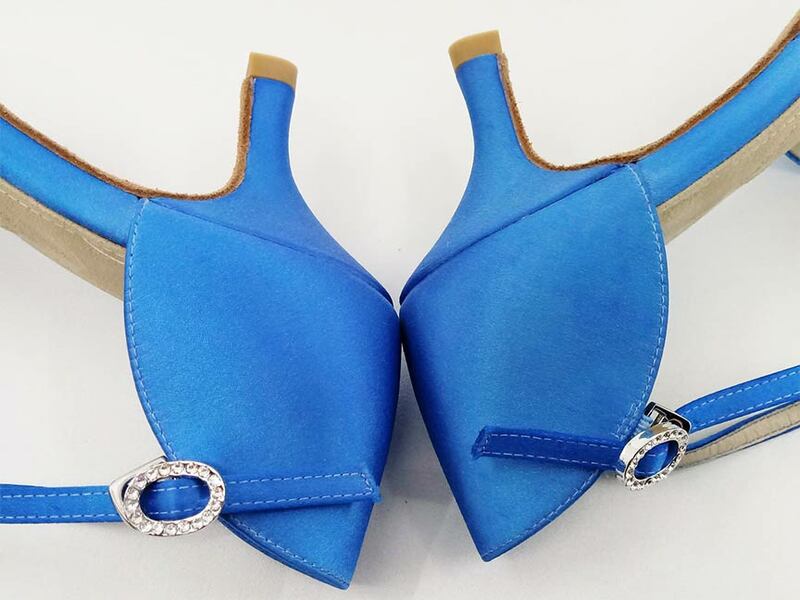 Very desirable 2.5 inch heel sandal dyed for a salon. Slight irregularity in dye color on the heel cup of one shoe means we dyed another pair for that custom order and put this pair into the Outlet Shop.